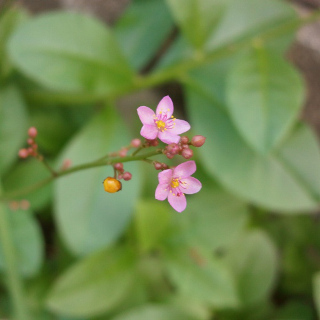 Philippine spinach blooms small pink flower. It blooms by roadside. It is also called waterleaf, Surinam purslane, Ceylon spinach, Florida spinach and etc. It is called Hazeran in Japanese.